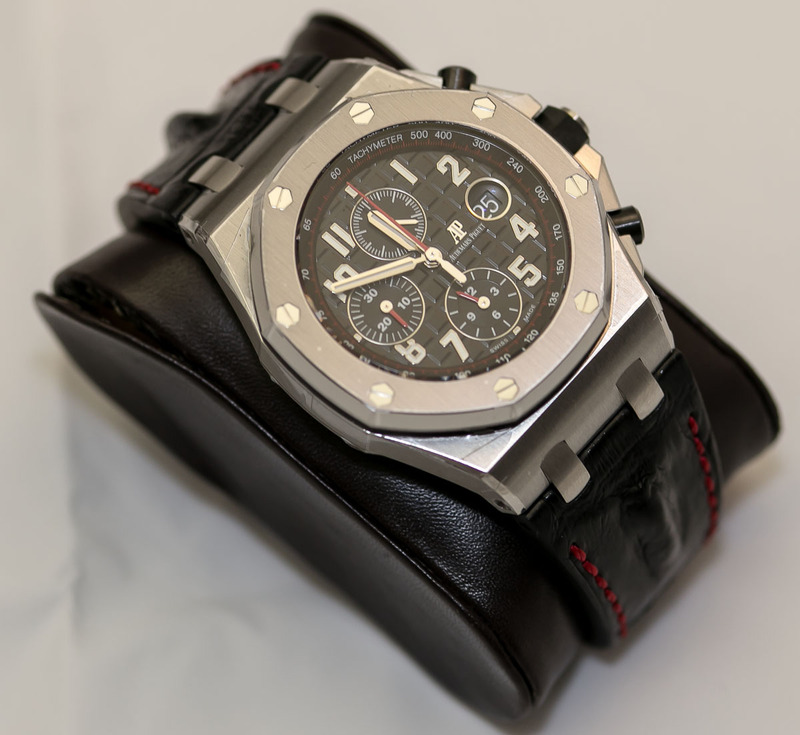 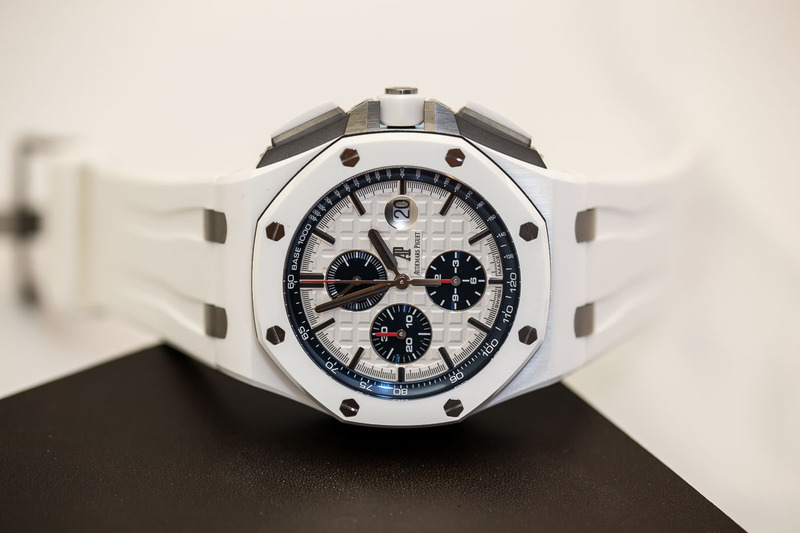 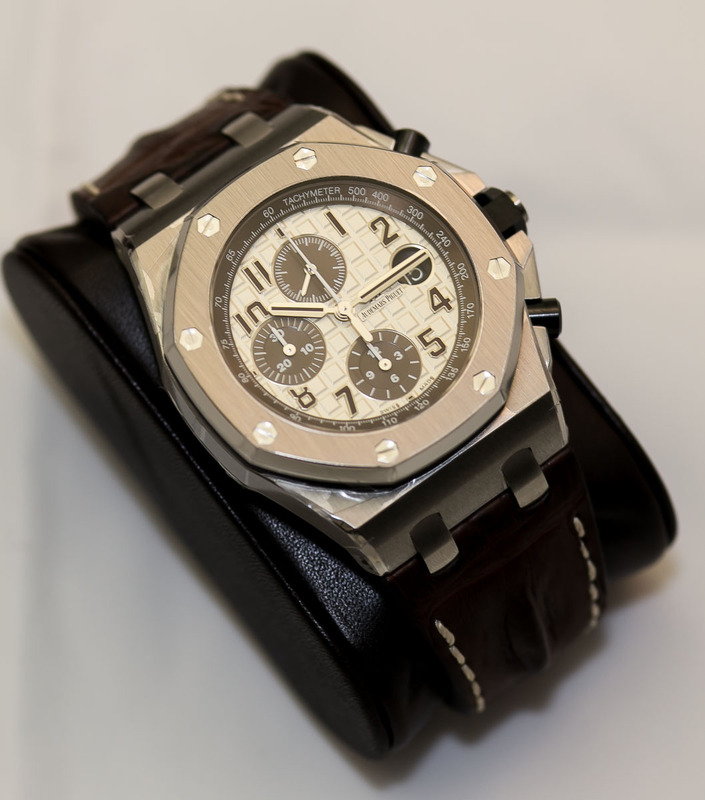 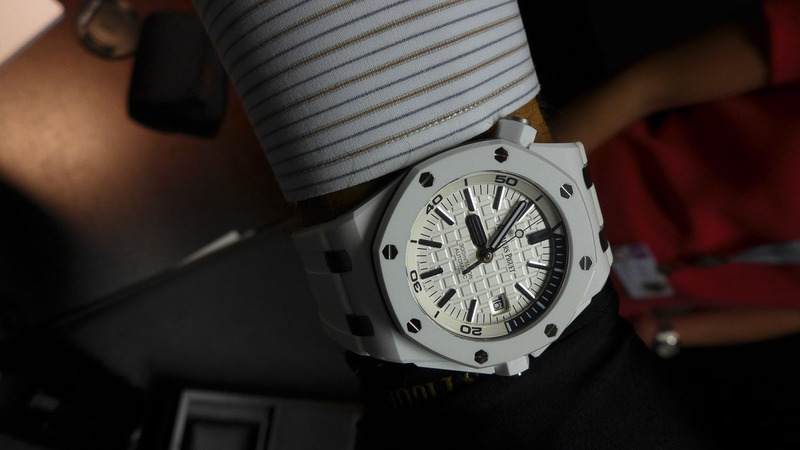 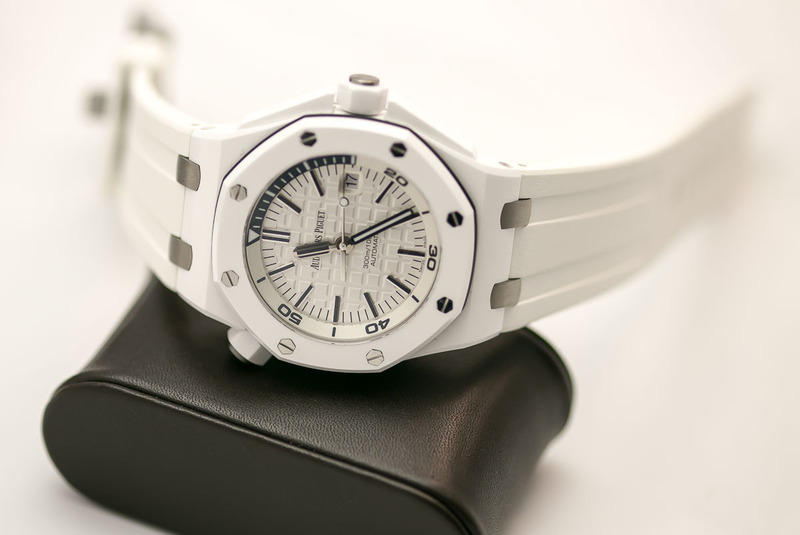 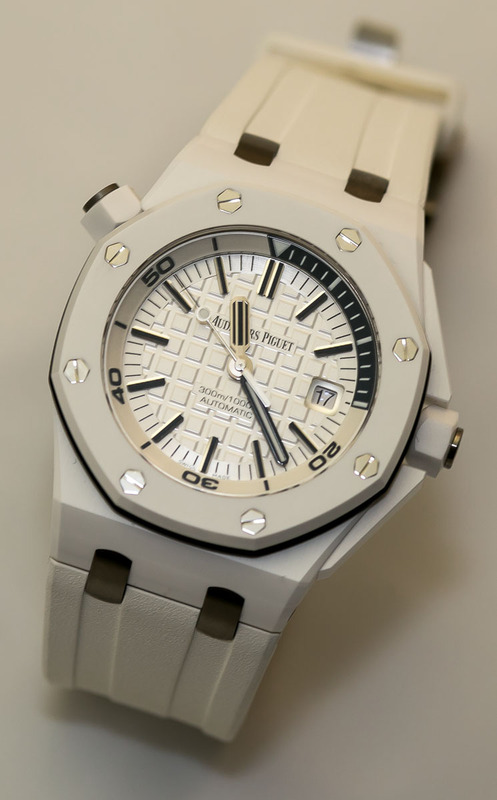 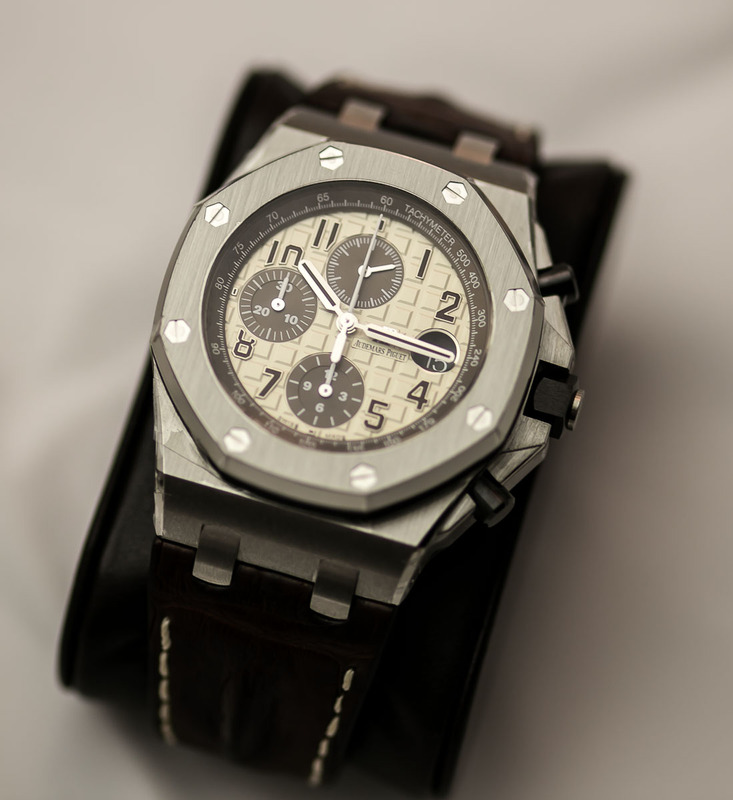 AP CEO Francois-Henry Bennahmias said in our interview a year ago that AP was focused on "Fewer, Bigger, Better"
That translates to getting the most out of a concise and powerful representation of the brand, from the boutiques to the retailers, from number of watch references to ambassadors. 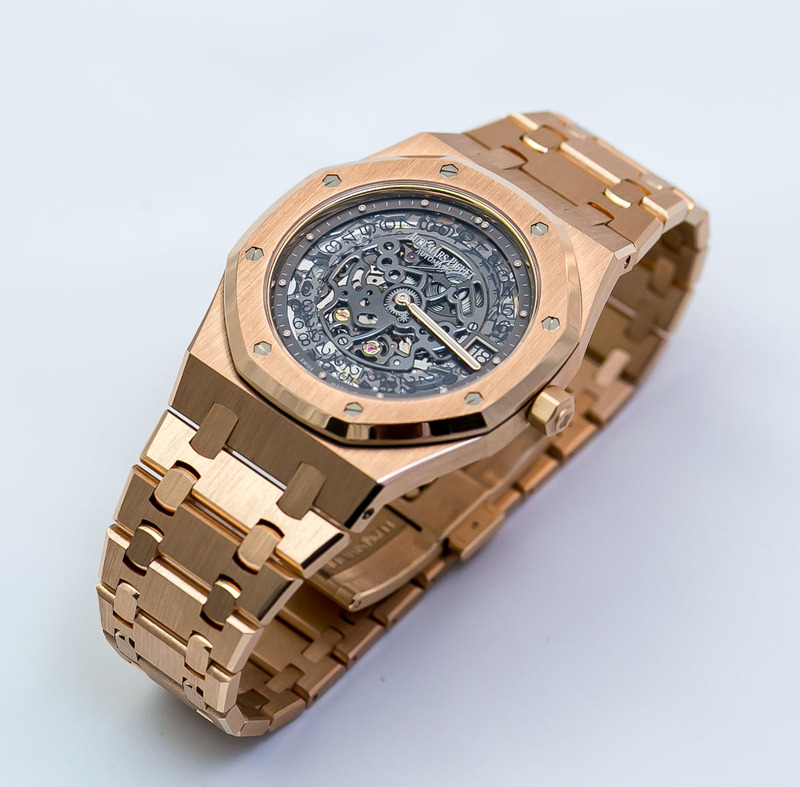 In 2012, upon the 40th Anniversary of the Royal Oak, AP mounted a massive exhibition of over 100 timepieces reflecting the history of the iconic design, an exhibit that toured a number of cities around the globe. 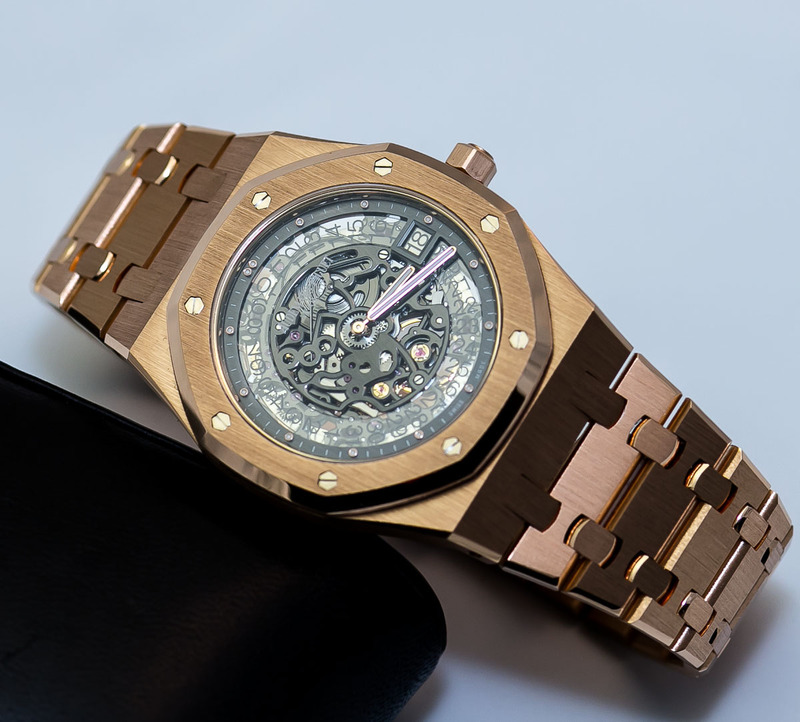 The Royal Oak collection was revised that year, and the result was a more cohesive, "family-like" feel to the pieces and their common dial details, bracelets, clasps, etc. 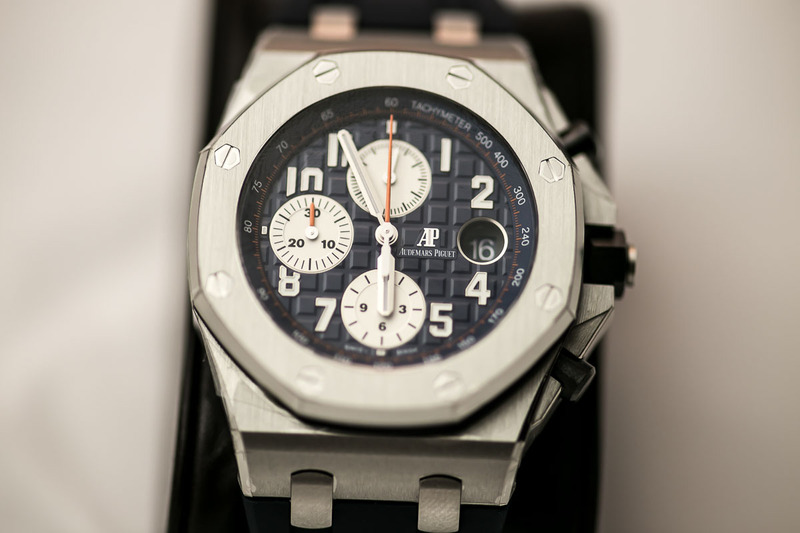 In addition, the 39mm 15300 Royal Oak became the 41mm 15400 Royal Oak, and the Royal Oak Chronograph also made the same transition in size, which combined with the new elements gave the Royal Oak line a bit more sporty feel. 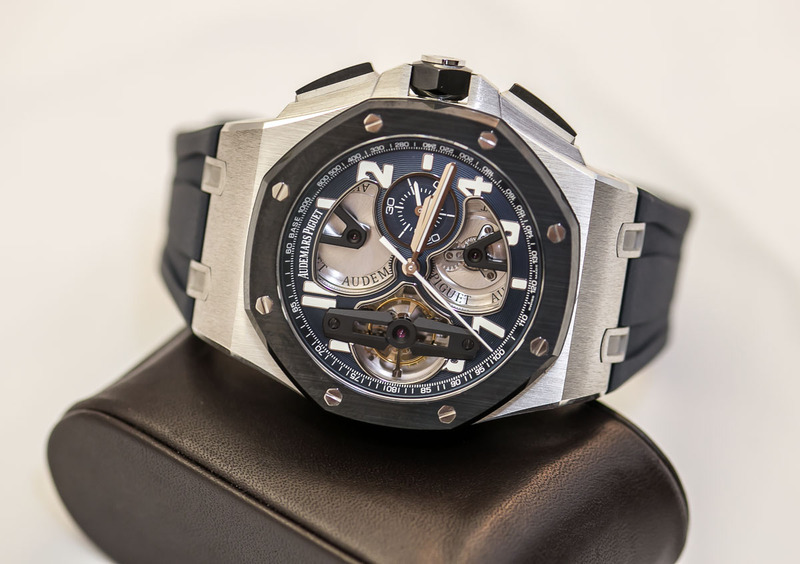 They said this past year that the 2014 collection would also be a strengthening of the core pieces, as they aim to keep model references in the collection for 10 years or more. 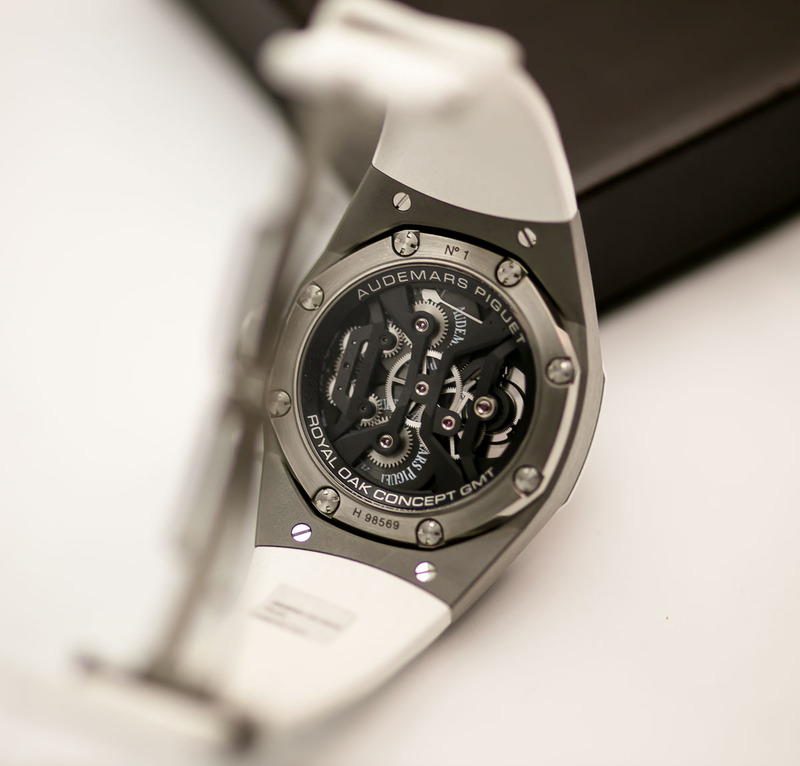 Fewer, Bigger, Better. 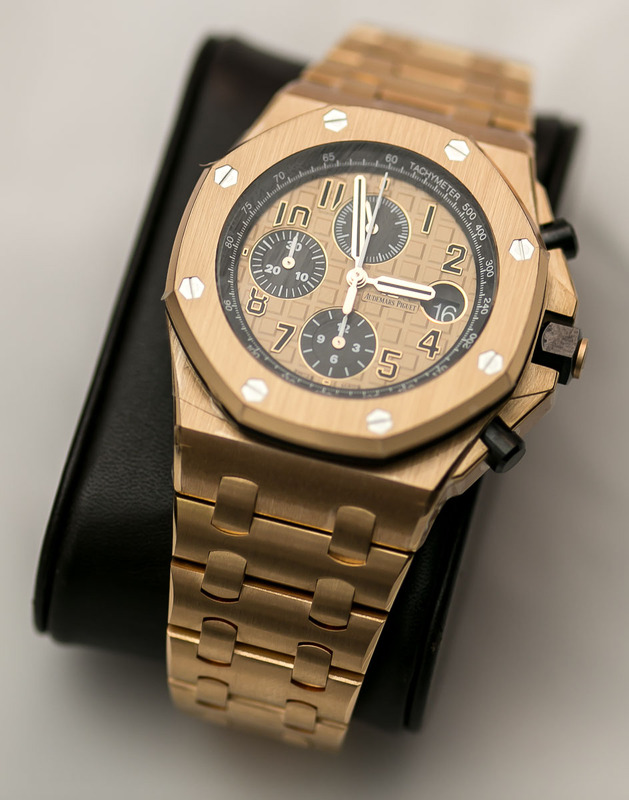 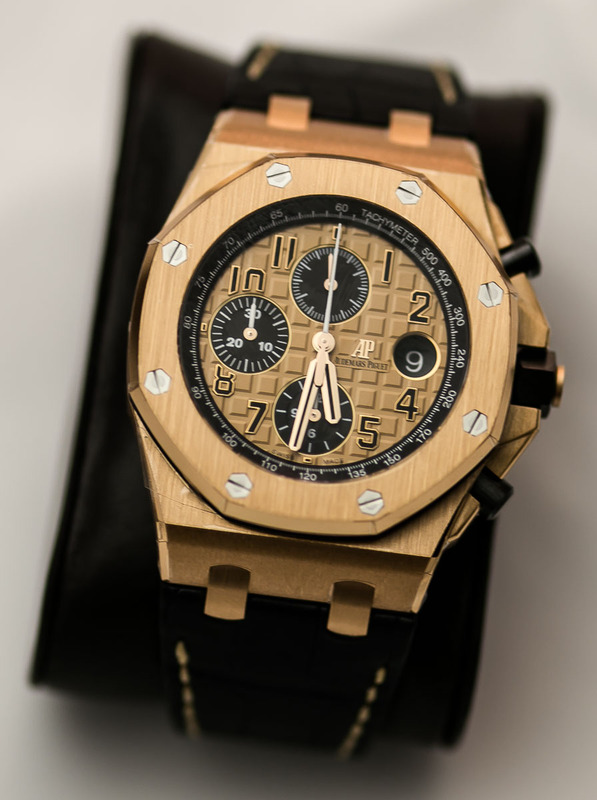 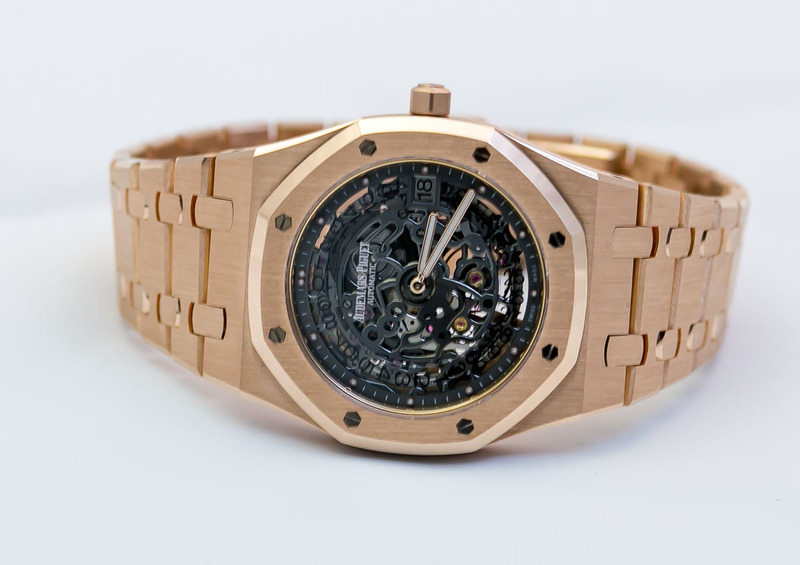 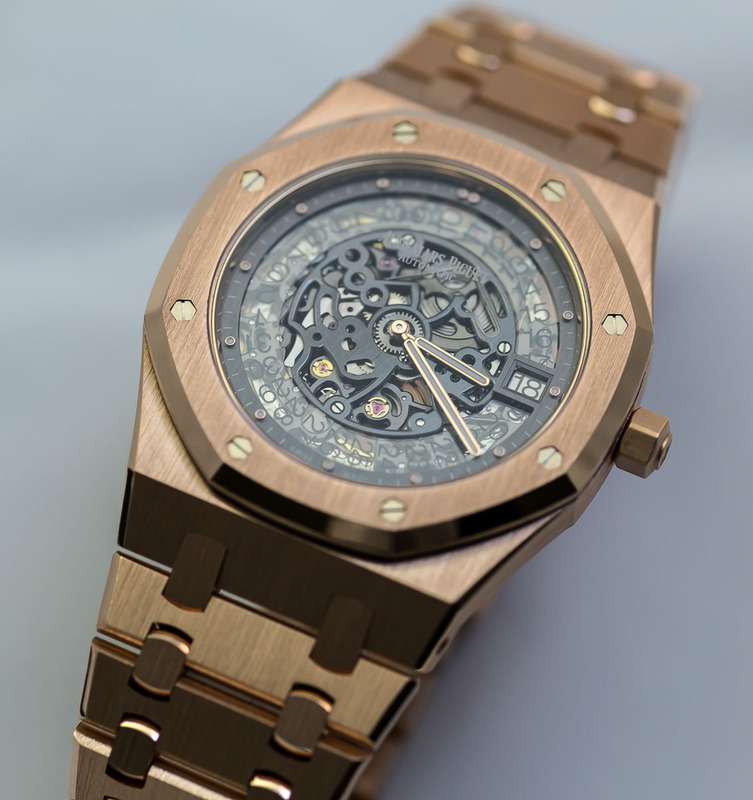 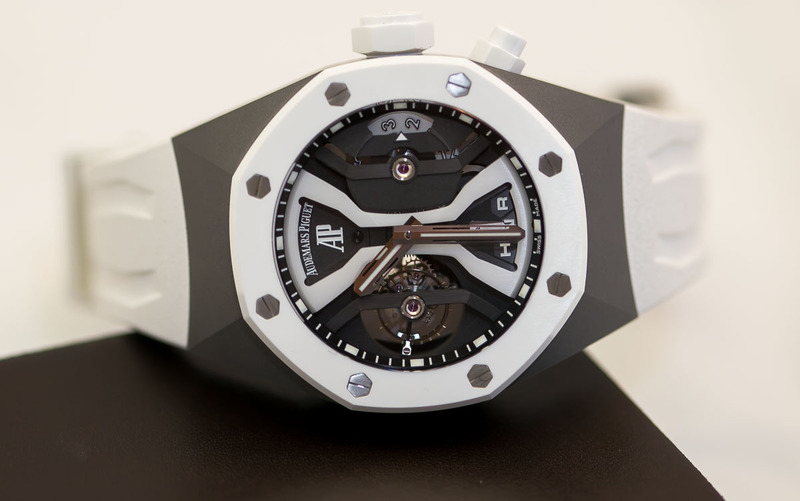 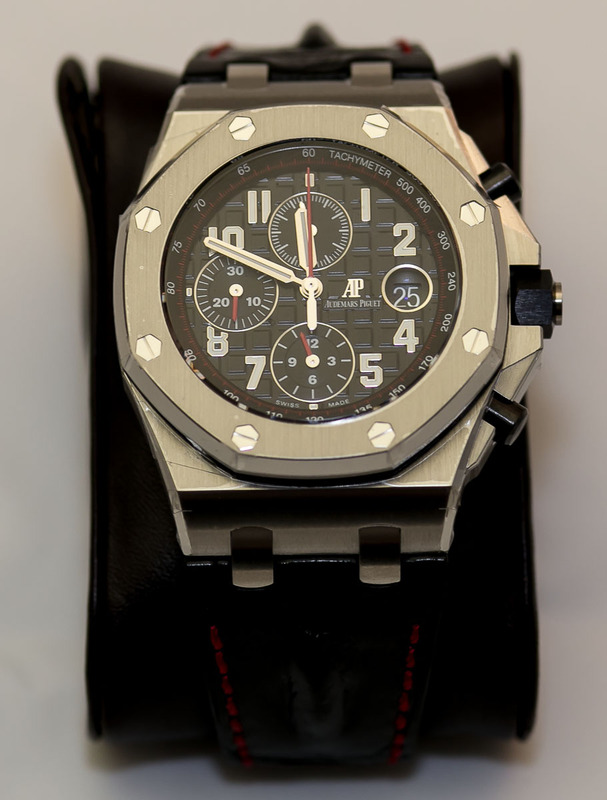 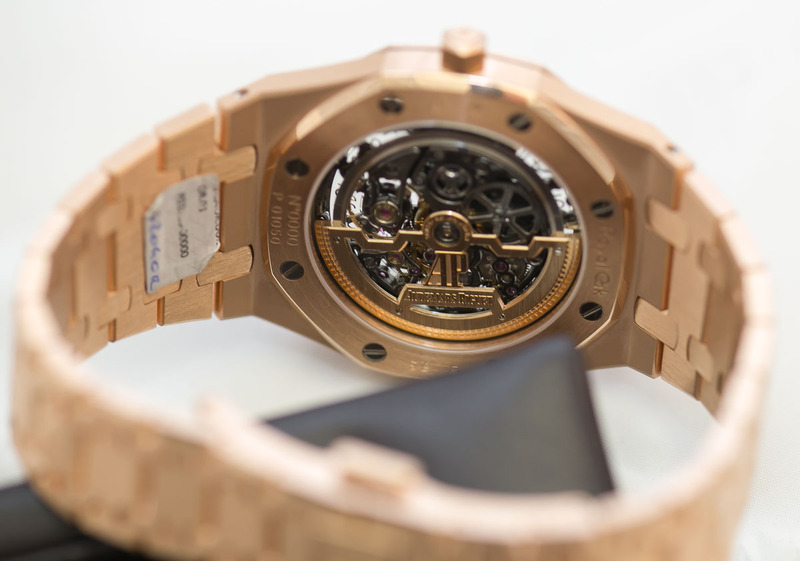 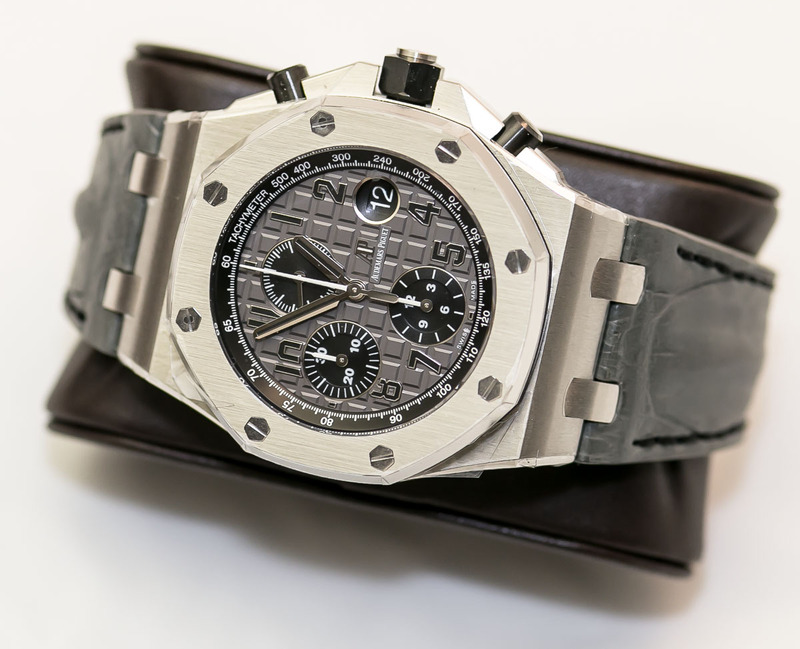 AP wanted to fortify the Royal Oak collection for 2014, and will make 2015 a year of expansion. 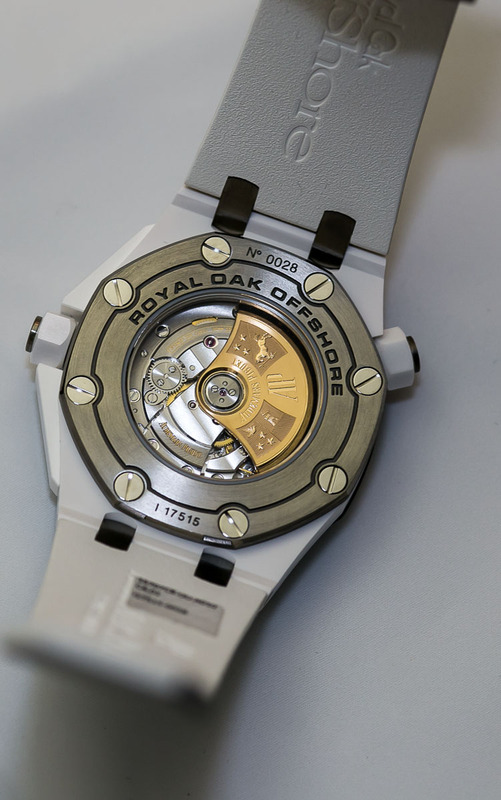 The Royal Oak Offshore is this year's primary focus, and the 42mm Offshore line--as we've already seen in a couple of earlier posts--received some design inspiration directly by the original Royal Oak Offshore from 1993. 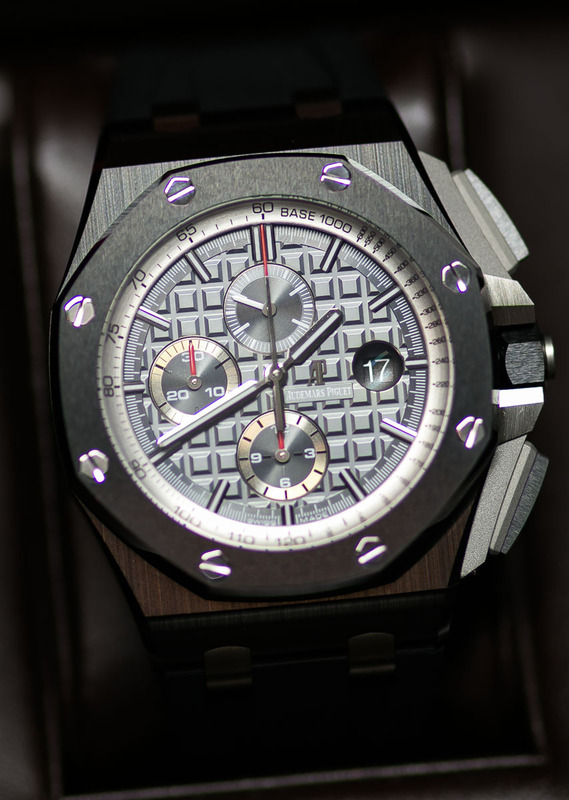 There are four new references in stainless steel, and two in rose gold. 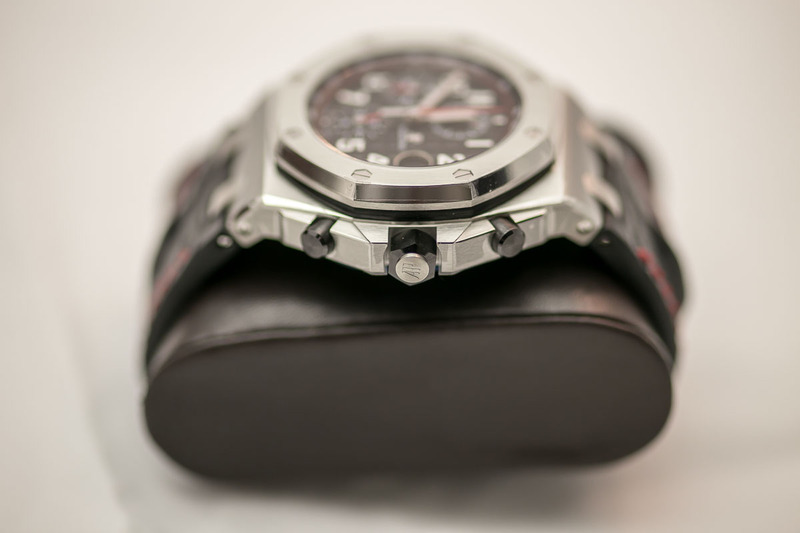 These pieces replace the current line of 42mm Offshore Chronographs, which are now discontinued. 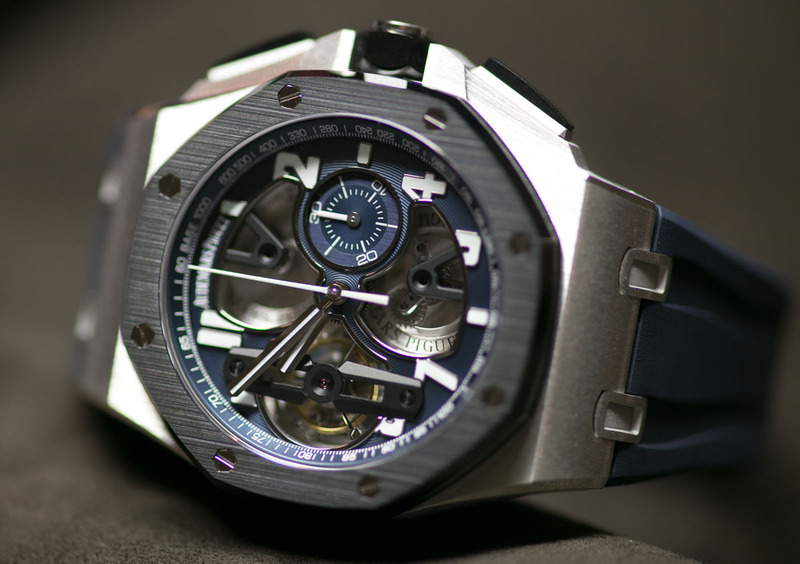 The new 42mm Royal Oak Offshore models will officially launch the 8th of April, at which time all of them will be available for sale. 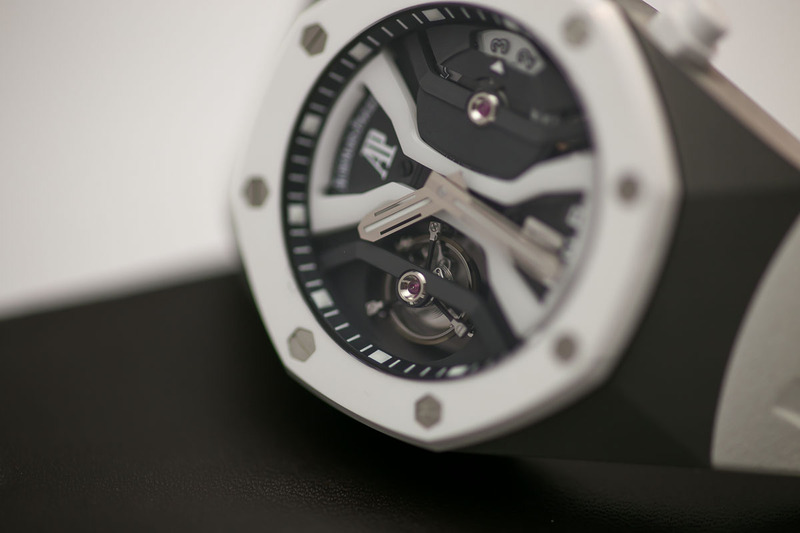 The angles are crisp, the precision in the production quite evident. 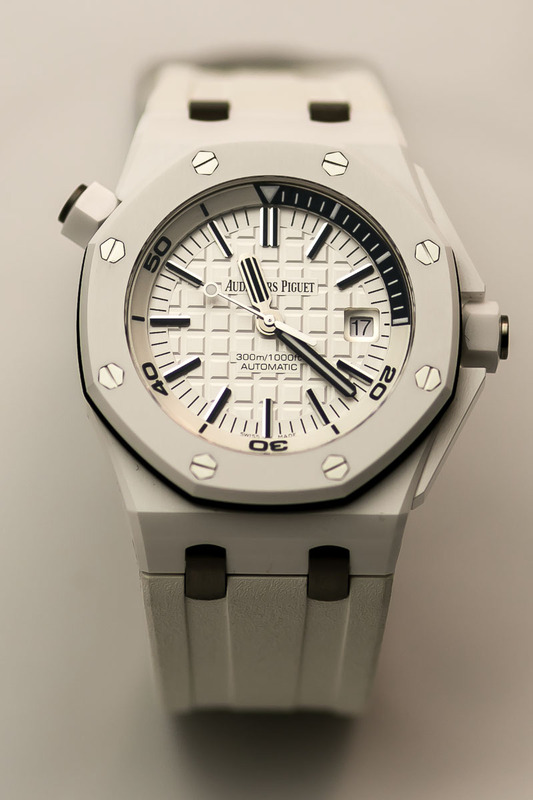 The pushers and crown which have been rubber for 20 years are now presented in ceramic. 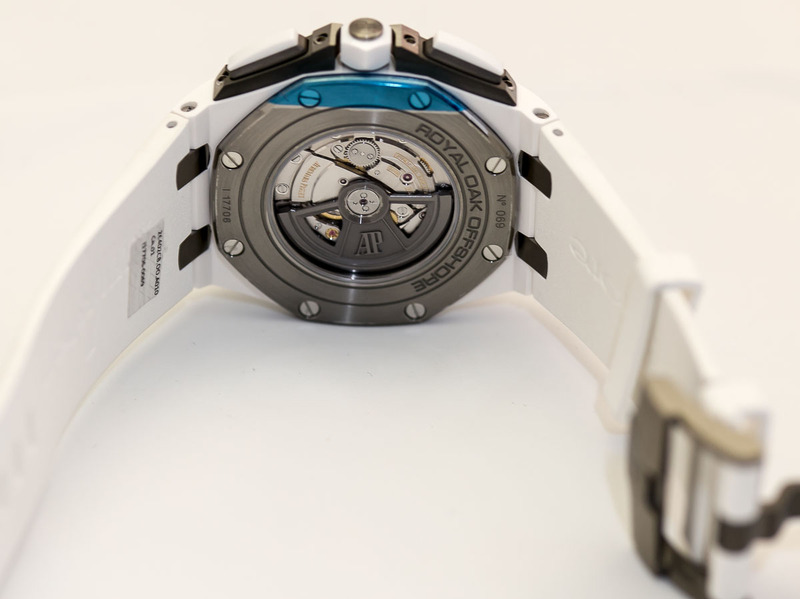 With an exhibition case back, as all 42mm Offshore chronograph models now have. 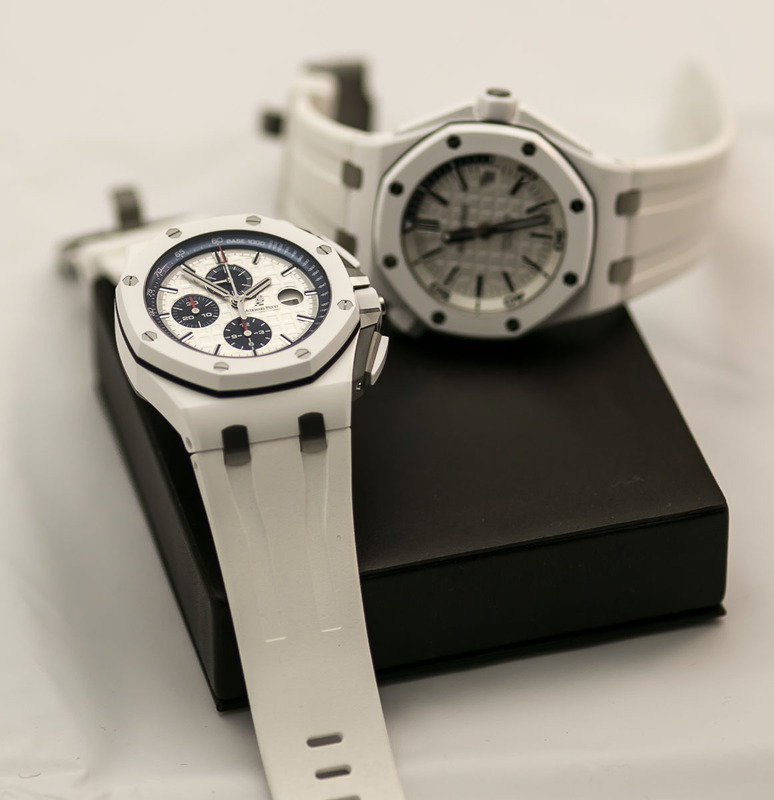 Hope you enjoyed these, and a special thank you to the team at AP for all of their help in bringing these to Timezone.